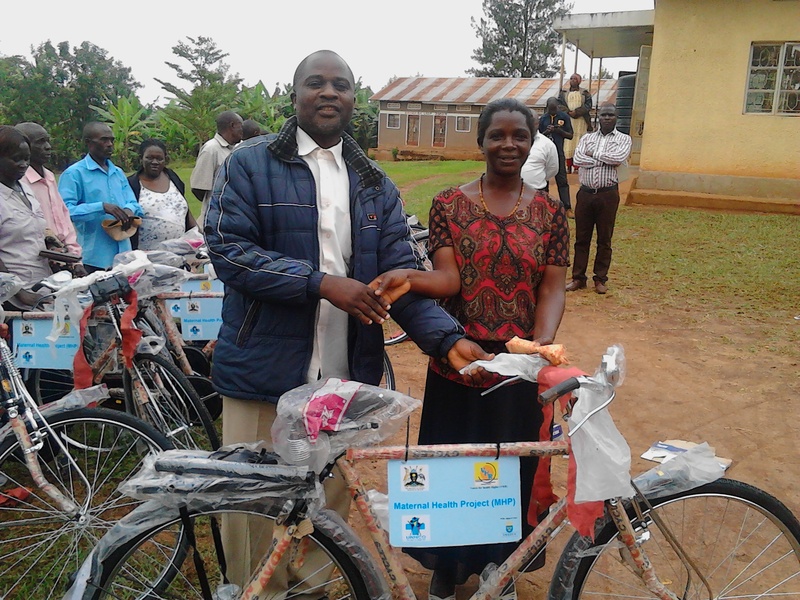 The Maternal Health Project Phase two (MHP): Uganda National Health Consumers Organisation (UNHCO) and her partners from the Voices for Health Rights (VHR) have since Tuesday August 11th 2015 distributed over 250 bicycles to Village Health Teams (VHTs). 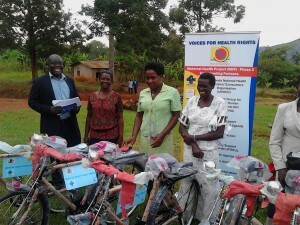 The VHR coalition Implementing partners are launching the MHP phase two in eight districts in Uganda. 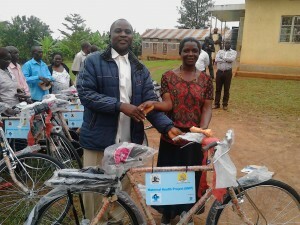 As many as 393 bicycles will be distributed by the end of August to support the VHTs to conduct their roles. She said the bicycle will enable her cross from one home to another easily and as frequently as necessary. 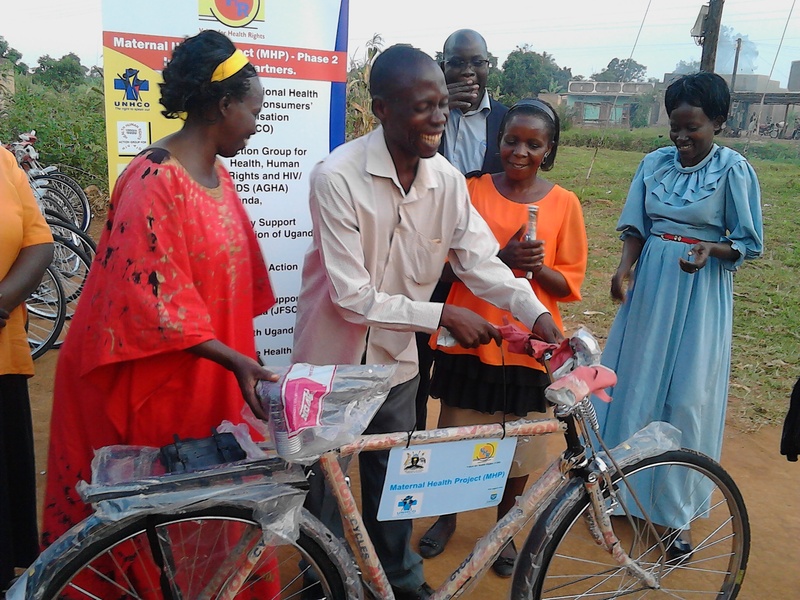 “It will help me and others move in the villages conveniently.” She said, they may even be able to carry some of the mothers in need of urgent care to health centers. 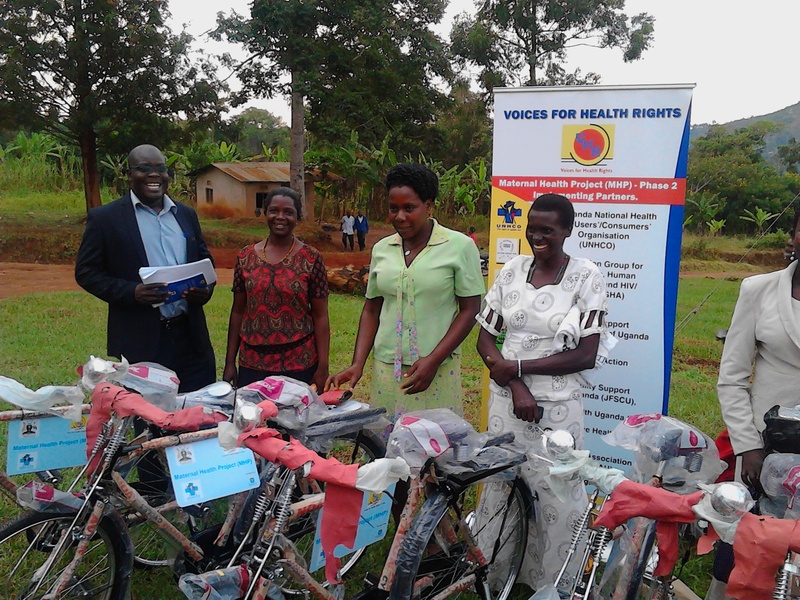 VHTs from Maanyi, Ssekayonyi Mityana district, Kiganda, Nalutuntu, Myanzi Mubende district, Kiziranfumbi, Kabwoya Hoima district, Alero, Kochgoma Nwoya district, Minakulu, Myene, Acaba and Aber, Oyam district have so far each received a brand new bicycle courtsey of the Maternal Health Project. 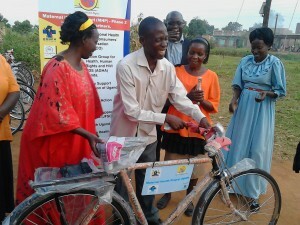 The VHTs and their sub-county chairpersons, who handed over the bicycles, said they were very excited. 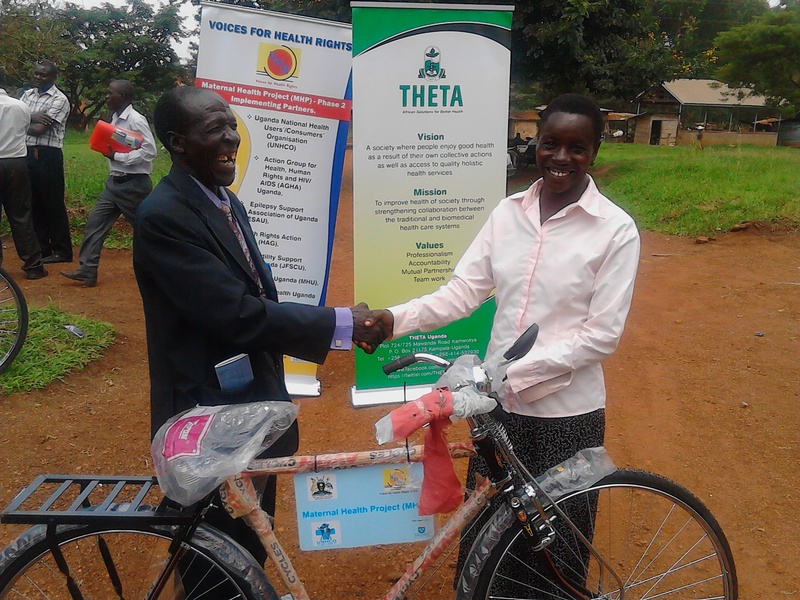 The Maternal health project phase two will be implemented for four years in Oyam, Mityana, Sheema, Soroti, Hoima, Mubende, Mayuge, and Nwoya. 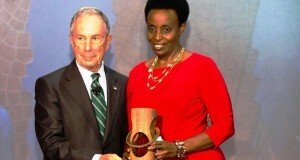 The goal of the project is; to contribute to the reduction of Maternal and Newborn mortality in Uganda. The goal will be achieved by implementing activities at National, District, Community and household level. 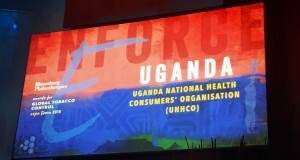 The VHTs are expected: (1) To support both the communities and duty bearers to improve Maternal, Sexual, Reproductive and Newborn Health through a Rights based approach among rural communities in Uganda, (2) To contribute to the reduction of maternal and newborn mortality in Uganda and (3) To improve demand and utilization of maternal, sexual, reproductive and newborn child and adolescent health services at community level through the rights-based approach. Moses Kirigwajjo a Programme Officer from UNHCO shares the joy with the VHTs under his supervision.